As part of an ongoing effort to integrate storage and data management within a Kubernetes cluster, Portworx today announced an update to its Portworx Enterprise software that adds an embedded data recovery capability. In addition, Portworx announced it has added support for access-based controls to Portworx Security via integration with LDAP and Microsoft Active Directory. Portworx Security provides a tool through which IT teams can manage encrypted data on a Kubernetes cluster. Fresh off raising another $27 million in funding, Portworx views the rise of Kubernetes as an opportunity to modernize the management of persistent storage. Michael Ferranti, vice president of product marketing for Portworx, says rather than having to license data and storage management applications from different vendors, capabilities such as disaster recovery (DR) are being baked into the core software-defined Portworx Enterprise storage platform. The DR capabilities enabled by Portworx can come in two forms. The first is a metro network in which data can be share synchronously in real time between Kubernetes clusters. Within a metro network, the DR capability enables IT organizations to set a recovery point objective (RPO) of zero to ensure no data is ever lost between Kubernetes clusters, says Ferranti. The second is an asynchronous capability wherein data is shared across a wide area network that, due to the laws of physics, would require storage administrators to accept a higher RPO level based on the distance involved. Those capabilities will substantially reduce the total cost of deploying stateful applications on top of Kubernetes compared to a traditional virtual machine environment, notes Ferranti. Portworx also expects the ability to integrate with directories to boost Kubernetes adoption, as the No. 1 barrier to adoption of any emerging platform such as Kubernetes is cybersecurity, he says. Interest in deploying stateful applications on Kubernetes has risen sharply in the last year, Ferranti adds. Thanks in part to reseller agreements with IBM, Intel, Hewlett-Packard Enterprise (HPE), Toshiba, Red Hat and Mesosphere, the value of the sales contracts grew 376 percent year over year as the total number of paying Portworx customers has doubled. HPE also took an equity position in Portworx and the company already counts GE Digital and Lufthansa Systems among its customer base. 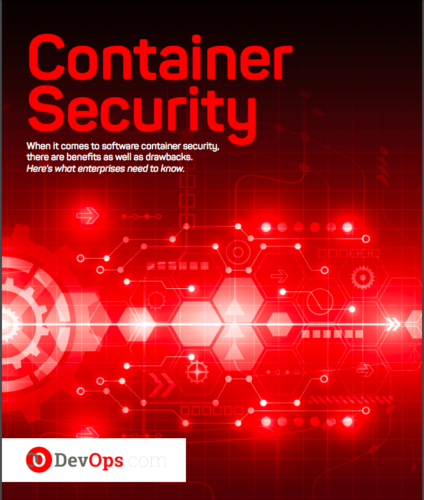 As more IT organizations build and deploy stateful applications based on microservices constructed using containers, the relationship between storage administrators and DevOps teams is sure to change. The rate at which these applications are deployed almost necessitates adoption of a programmable software-defined storage system; in fact, many storage teams may find themselves incorporated with DevOps organizations. Of course, there still will be plenty of data that needs to be accessed beyond the Kubernetes cluster. To address that issue, the Cloud Native Computing Foundation (CNCF) is developing the Container Storage Interface (CSI). But as far as data storage is concerned within a Kubernetes cluster, many of the existing processes IT organizations rely on to manage storage are likely to become obsolete as data management becomes more unified.